I created the cover shot on this book from a photo I took on September 20, 2007. It is similar to a photograph that appeared on the front cover of a book called The Natural History of Sharks that had a significant influence on my interest in sharks many years ago. One of the two authors of that book has the last name of Backus. As such, I sent several photos of this white shark to the registry of great white sharks and suggested it be named "Backus." In the field of patents, there are still innumerable treasures that have not been unearthed; they are hidden in the patent files of a company, or more likely, in the minds of brilliant researchers waiting for the right connection of ideas and support. Taking the mystery out of patent strategy for business management, Outpacing the Competition explores the business dynamics behind creating, acquiring, advancing, and defending patentable assets. Reveling the dynamics central to winning the competition for ideas and relationships through which companies derive successful products, this innovative book puts patentable assets, the core value of technology companies, at the center of a broader business strategy discussion. Filled with case studies and real-world anecdotes, this strategic guide equips professionals with tools to cultivate, grow, and guard their patents, and breaks down three key learning points about patent strategy: understanding what patent strategy is, winning the race of decision cycles, and mastering the interplay of interaction and isolation that occurs between companies through patent transactions and enforcement. Patents provide a brief window of opportunity for companies to enforce the exclusivity of their inventions before competitors are able to imitate their ideas. As the most quantifiable of intellectual property assets, patents are the cornerstone of a new type of business strategy that, while practiced, has not been adequately described. Until now. 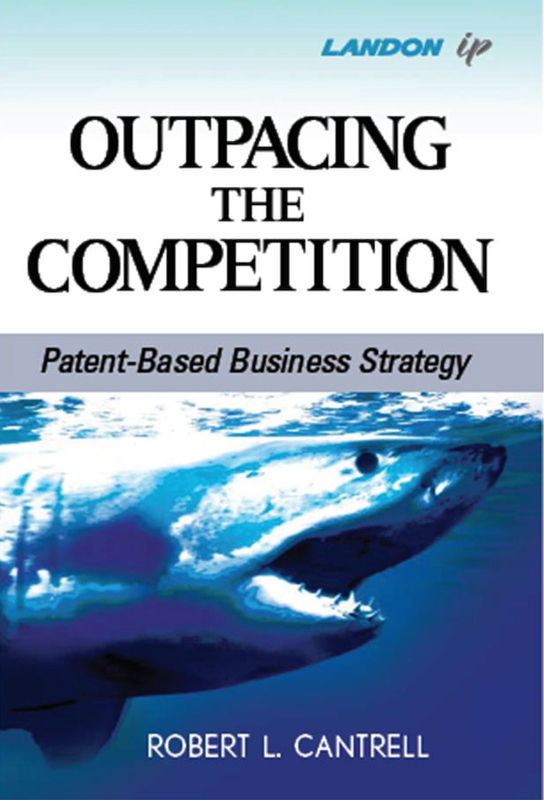 Required reading for business professionals and attorneys, Outpacing the Competition delivers much-needed guidance in developing business strategy that leverages the competitive advantages afforded by patents. Robert L. Cantrell is a professional strategist and Director of Consulting at Landon IP, Inc. He has managed multiple consulting and analytical engagement across a wide range of technology sectors that include the communications, electronics, medical devices, pharmaceuticals, energy, and consumer goods fields. For Landon IP customers, Mr. Cantrell manages patent analytical projects, innovation and IP strategy sessions, and advanced training courses. He is on the faculty of Patent Resources Group (PRG), the leading provider of advanced patent education to the legal and business communities. His core expertise in classical strategy has been proven to have wide applicability across many professional disciplines.